This post is a little different from my usual posts as it’s not primarily about food and there are no recipes, but I may start doing them from time to time. It’s just a list of random things – food and other stuff- that I’m currently obsessed with and maybe you are too =). 1. 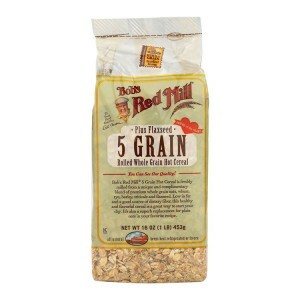 Bob’s Red Mill 5 Grain Rolled Whole Grain Hot Cereal I’ve mentioned before how I stroll through the grocery store and randomly buy items just because I’ve never bought them before. That’s exactly what happened here, and it was a wonderful surprise! I was looking for wheat bran and stumbled across this 5 grain cereal. It basically looks like oatmeal but has a slightly more complex flavor and a little more texture. I’ve been eating it every morning with a tablespoon of peanut butter and a sliced banana. I cook mine in the microwave because it only takes 4 minutes and I’m always running late in the mornings…don’t tell anyone ;). If you haven’t tried it, you should! 2. 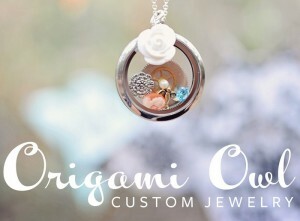 Origami Owl Living Lockets I got one for Christmas and I love it! They have so many different charms for inside and several different styles. I wear mine all the time. 3. 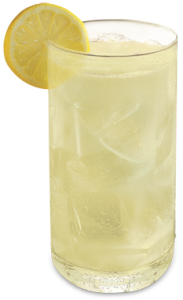 Chick-fil-A Lemonade OMG! It’s soo good! I find myself taking alternate routes home just so I can stop and get a lemonade ;). Who doesn’t love fresh squeezed lemonade?? 4. 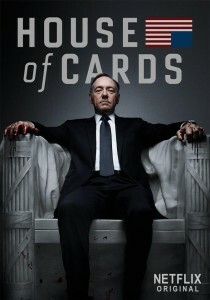 House of Cards on Netflix I watched the entire season in 2 weeks! I was hooked. While it is probably not appropriate for small children, if you like political dramas it’s a must see. 5. 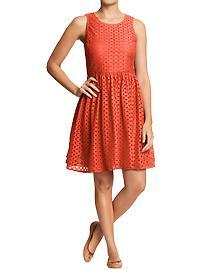 Mixed-Eyelet Dress from Old Navy I’ve been seeing eyelet material everywhere so I guess it’s all the rage this spring. I love it – especially in this gorgeous orange color. Apparently orange is the color this spring too =). 6. Country Cupboard Dinner Set by Pfaltzgraff I was browsing through Belk – looking for more food photography props 😉 – when I spotted these dishes. I love that they’re white (better for food pics) but that they have a little antiquey design/look. They’re even prettier in person. 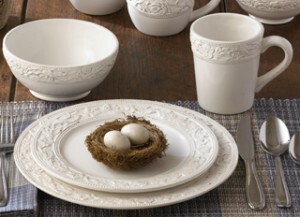 If I didn’t already have a set of dishes, I’d buy these for sure =). P.S. Apparently the Neighborhood Co-Op right by our apartment sells Bob&#39;s Red Mill cereal. We&#39;re hosting a friend this weekend and I was planning on dropping by. I&#39;ll DEFINITELY plan on picking some of this up! I found the 5 grain cereal at Kroger. It has a texture similar to steel cut oats. <br />Yes, I&#39;ll definitely be checking out Hemlock Grove =). House of Cards definitely set the bar high! <br />I have a set of white corelle dishes that we use and you&#39;ll see them in my pictures a lot, but I&#39;m slowly accumulating quite a &quot;food prop&quot; collection as well =p.